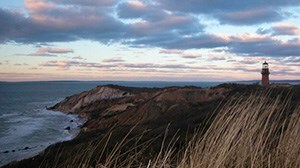 With sea breezes, gorgeous beaches, an abundance of wedding and reception locations, loads of activities, romantic sunsets, and plenty of vacation rental homes, a wedding on Cape Cod, Nantucket, or Martha's Vineyard is the perfect spot to exchange vows. A Cape Cod and Islands Wedding is bound to create a lifetime of memories not only for the bride and groom, but for guests as well. This article details several ideas for wedding planning as well as providing vacation rental home options to save your guests money and allow them to gather and enjoy! So don’t wait. 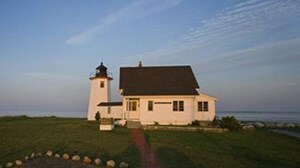 It’s time to get planning your Cape Cod, Nantucket, or Martha’s Vineyard wedding! Location, location, location. There are so many wonderful locations to have the wedding and reception ranging from romantic chapels to grand ballrooms. Consider hosting a wedding at a local chapel followed by a reception at a vineyard. Or exchange vows on the beach and then wander over to the Summer House on Nantucket for a beautiful reception with stunning water views. Another unique idea is to host a wedding and reception at a local museum such as the Heritage Museums & Gardens in Sandwich. There are many options and combinations to accommodate large and small weddings as well as large and small budgets. Favorite locations that offer an intimate setting include restaurants such as the Captain Linnell House in Orleans, or a park such as Drummer Boy in Brewster. Outdoor venues include local beaches, Vineyards, and well-known landmarks such as the Highland Light in Truro or the Sandwich Boardwalk. Many weddings will require the use of various vendors to make the wedding vision become reality. 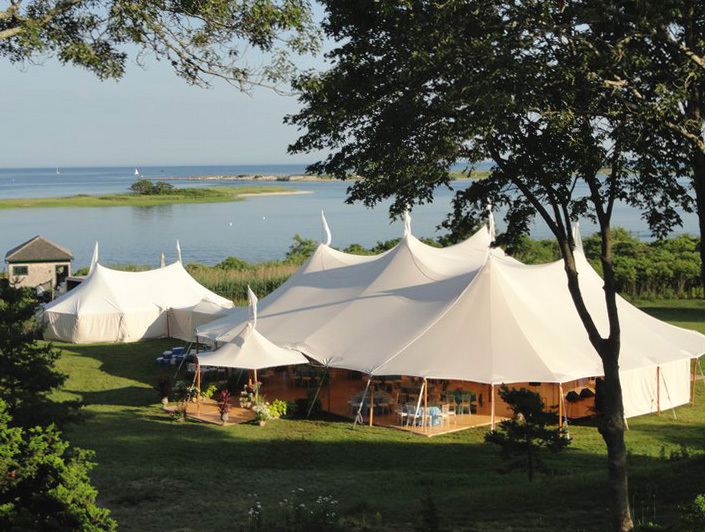 Cape Cod, Nantucket and Martha’s Vineyard abound with reputable and helpful vendors ranging from florists and photographers to DJ’s and limousine services. If planning a wedding from afar, it may be helpful to hire a local wedding planner who can assist in the planning process. A big piece of the wedding puzzle is food for the reception. Whether you want your guests to experience a casual Cape Cod clambake or a refined, elegant cuisine, the local catering companies and chefs can meet the needs and desires of the bride and groom. Once the menu has been decided, it’s time to focus on the wedding cake, a focal point of the wedding. A cake that cascades with hydrangeas, looks like a Nantucket Basket, or a traditional white cake with intricate detailing are just a few types that the local bakers can create. The options are endless, so be sure to contact a local baker or caterer to help design the perfect wedding cake. 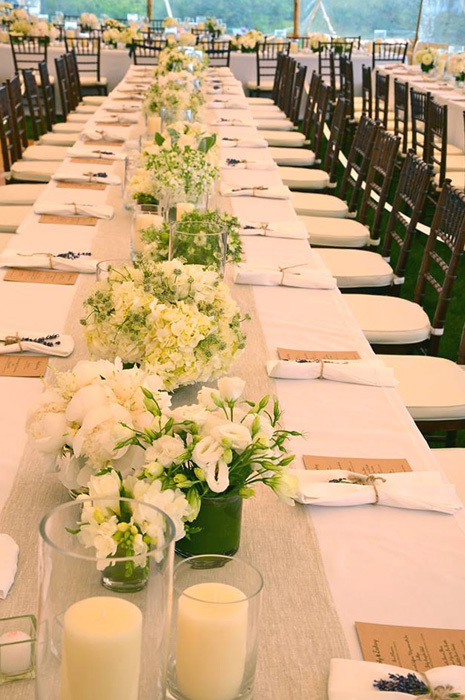 What makes a wedding a cherished event are the guests. They are parents, cousins, aunts, uncles, grandparents, and best friends. Be sure to make their experience a special one. Providing welcome gifts for out-of-town guests is one way to say welcome to Cape Cod/Martha’s Vineyard/Nantucket. You can arrange to have a local gift shop create welcome baskets or create your own. Be sure to include maps, lists of local attractions, activities, and beaches. How about accommodations for guests? This is our expertise! Suggest that guests gather together, save money, and enjoy the space and intimacy of a vacation rental house. On our website, you can do a Power Search and then view the results on a Google Map to locate homes that are near the wedding venue for your guests and wedding party. This way attendees can stay close to one another and still have the opportunity to mingle, but also have the privacy of staying in their own home rather than being confined to hotel rooms. Most vacation rentals offer long weekend rates for the spring and fall, while summer rates are based on a weekly rental. Here are just a few homes that are able to accommodate large groups and may be a perfect match to house your wedding guests. What wedding guests wouldn’t want to stay in a large home on Nantucket (6939). Looking for an estate? Then be sure to inquire about this waterfront home in Chatham (19054). Your guests would be thrilled to be on the beach in Mashpee (16151), perhaps oceanfront with a private pool in Eastham (8241), or on a quiet lane in Yarmouth (9758). Once you know the when and where of your wedding, head to the WeNeedaVacation.com Power Search page and you can easily search for rentals in the area that you can then share with your guests. Or simply direct them to WeNeedaVacation.com and they can conduct their own search to find the vacation home that suits them. Cape Cod vacation rental homes and weddings are a great match, so consider including vacation rentals when planning your nuptials. A wedding on Cape Cod, Nantucket, or Martha’s Vineyard is a magical event filled with love, laughter, and sand between the toes! Looking for some Cape Cod and Islands wedding inspiration?